AUTODESK AUTOCAD KEYBOARD STICKERS NEW. Made in USA. You are in right place if you need hight quality keyboard stickers. 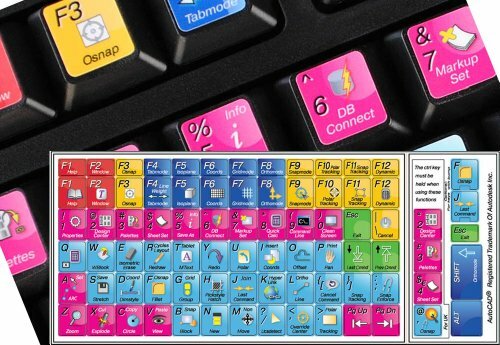 Once you have applied these stickers on your standard keyboard you can immediately start editing with AUTODESK AUTOCAD software. Autodesk Autocad sticker makes it easy to see and help remember your shortcut buttons. Keyboard Stickers are laminated and made with typographical method on high-quality Matt Vinyl.